Our Selfies from the Inside all look different from each other since health is a complicated marriage of our habits and our genetics. Age is one biomarker that can look different inside all of us, too, since our long-term habits add up over the years.1 At InsideTracker, we measure aging objectively by testing nutrition-related blood biomarkers. 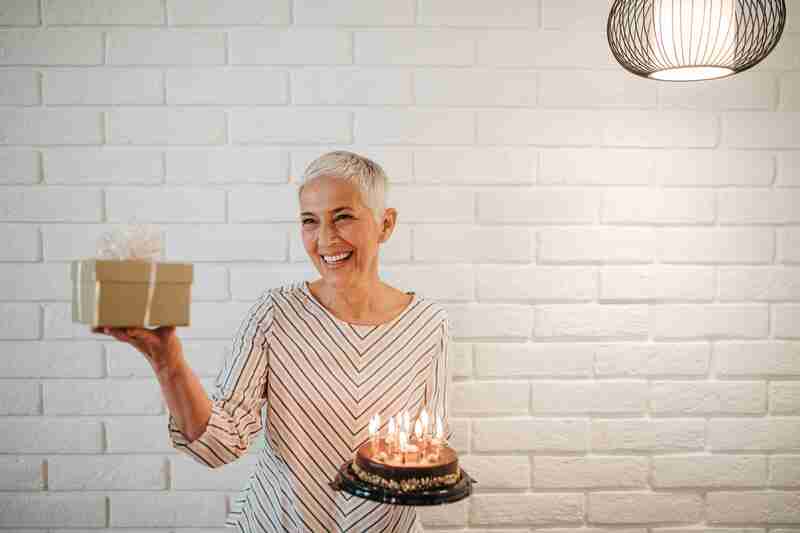 The biomarker levels are good predictors of overall health and likelihood of developing any potential disease.2 Throughout the decades, you’ll age chronologically, but we have some tips on how to slow down aging biologically. In your 20s, you most likely won’t be experiencing any chronic illnesses. However, your 20s are a vital decade to spend on preventative health. It is essential to have a diet high in Vitamin D and calcium during this decade to build strong and healthy bones. Bone mass stops being deposited after your 20s. For the next 60 or so years, your body will depend on the bones you grew in your first three decades. A strong bone base will help to prevent and delay the risk of bone fractures and osteoporosis. Foods that are high in Vitamin D and calcium include dairy products, bony fish like sardines, and dark leafy green vegetables like spinach. Having optimal levels of Vitamin D starting in your 20s and beyond can also impact your cardiovascular health.3 Having unfavorable cholesterol levels is another strong predictor of future cardiovascular disease. While the health risks of having unoptimized cholesterol may not be as evident in your 20s, it can contribute to your risk of poor cardiovascular health down the road. A diet high in soluble fiber from beans, whole grains, and nuts has been shown to manage cholesterol. As you enter your 30s, your metabolism begins to slow down. A slower metabolism can also contribute to rising fasting blood glucose levels. Make your 30s a decade to establish good habits for optimal glucose levels that will last for decades to come. Eating foods that are high in fiber will help to lower your blood sugar. High-fiber foods include fruits, vegetables, and whole grains. Both men and women are likely to experience some hormonal changes in their 40s. For women, DHEAS levels decline steadily with age. Having higher levels of DHEAS entering into this decade is crucial because it aids your body’s immune response.4 For men, testosterone levels are essential to maintaining in your 40s because optimal levels can improve bone health. SHBG is another hormone that is important to regulate during your 40s because of the impact that it has on your heart health, and your other hormone levels.5 Keep your SHBG levels optimized by maintaining healthy body weight and maintaining lean muscle mass. A regular exercise routine including both strength and endurance components can help. High Stress is something that tends to creep up during our sixth decade. Cortisol is a biomarker commonly known as the stress hormone. It is important to keep cortisol levels low throughout our lives, but especially in your 50s. Cortisol is associated with overall disease risk and mortality.6 The best way to keep your cortisol on track is to ensure that you get enough rest, typically between 7-8 hours each night. Ample stress-reducing activities, like walking, yoga, meditation, and reading can also help to keep stress levels low. Having stress relieving techniques worked into your daily schedule is important during this decade as family, career, and health changes may begin. hsCRP or high sensitivity C-reactive protein is a marker of inflammation. Achieving low levels of inflammation is essential in your 50s because it is a predictor of cardiovascular health, blood pressure, and diabetes control.7 Typically, individuals begin to notice the effects of their habits in their 50s. Fruits and vegetables are high in antioxidants, which help to reverse inflammation levels and maintain them at lower levels. If you take care of your health in earlier decades, your 60s and onward are more likely to be filled with healthier years. In your 60s, your main focus should be continuing to stay active and pursuing new activities and new adventures. Focus on keeping your mind sharp as well by reading, doing puzzles, and challenging yourself. A diet complete with fiber, protein, and healthy fats can keep you running like a well-oiled machine. Checking under the hood with a blood test occasionally can help you make adjustments where needed. No matter what decade of life you’re currently in, you can benefit from testing your biomarker levels. There is always something that you can improve that will have an impact for the rest of your life! Your chronological age can be a predictor of health, but your biological age is within your control! You can learn more about your biological age by checking out InnerAge. Understand how your body and biomarkers are aging in comparison to the date on your birth certificate. Improve your biological age with our personalized recommendations.